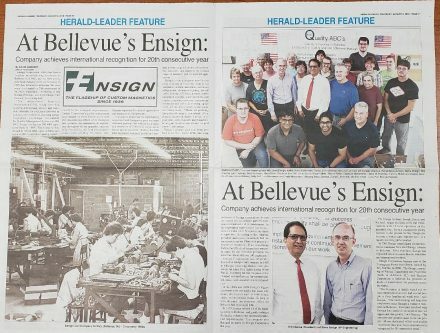 Ensign Corporation featured in the Herald for Achieving and Maintaining International Quality Recognition for 20 Consecutive Years. Ensign has received our updated ISO9001:2015 in June/July 2018. We continue to focus on power transformers, standard and custom, and our proud of our dedicated team members.